Riding hot from the popularity of powerhouse names such as Random Hand and The Human Project in the United Kingdom’s DIY punk scene, it’s hardly surprising when Traits, a supergroup or side project (whichever you prefer) featuring members of both bands has a lot of fire fuelling its own popularity. It was only a year ago we were treated to their EP ‘Limits’, a nice taster of what is to come from the four-piece, something that is a little different from what we expect from each member in their other bands respectively. 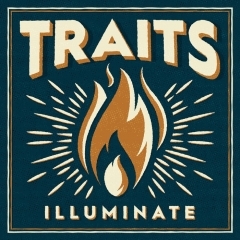 Now with a lot of mystery surrounding their second release ‘Illuminate’, Traits have shockingly decided to put all tracks on Bandcamp to download out of nowhere, although the physical copies won’t be available until April. 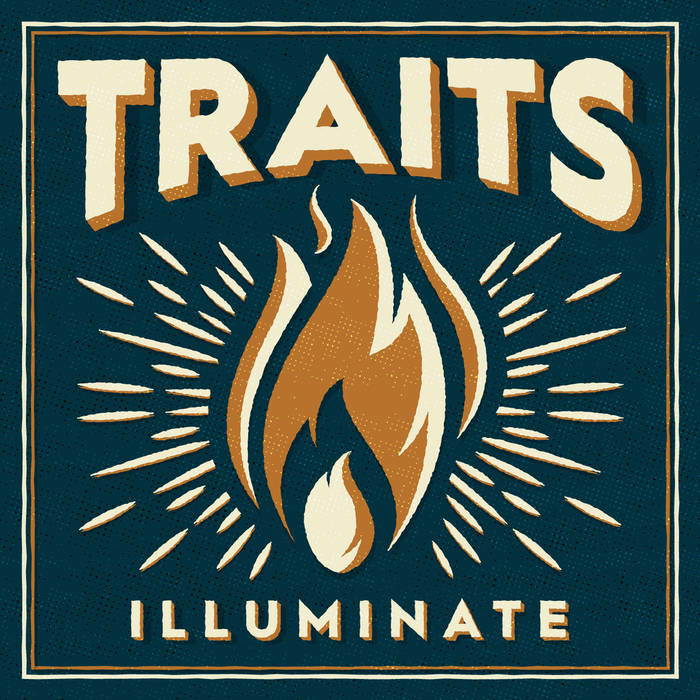 What we get from Traits is a punchy combination of pop punk and skate punk characteristics along with the impactful nature of alt-rock. Opening track “Less Fortunate”, shows us two dynamics to the fourpiece that makes them so hooking. First of all, the riffs, which are unleashed onto our ears with pure vigour. They are so crunchy and full of awesome groove that you can’t help but want to rock out. Counteracting that is the infectious melodies from the chorus. It’s so catchy. Jonny Smiths vocals are the right kind of high pitch to prick your ears. 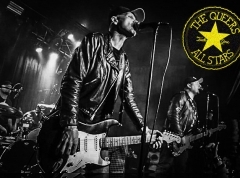 The infectious hooks take a step up on the following track, “The Good, The Bad & The Downright Ugly”, giving more of a poppy skate punk vibe. The vocal melodies are so joyful, and they are mimicked by the guitar sound which doesn’t quite have the same oomph as the opener, it’s just a nice song. The same can be said each of the following songs as the EP progresses. Intil I started picking up on the lyrics, it was impossible not to hum along. For some reason the chord progression in “Drop The Status Quo” reminds me of the Blues Brothers cover of “Everybody Needs Somebody To Love”, just a bit sped up in comparison. I was almost expecting those famous lyrics to come in at first. On top of the music, the topics behind each song is incredibly meaningful, touching in differing ways we should look at the world. “Paradigm” for one rightly preaching that “We’re all the same, we’re all human”. “Less Fortunate” then has an urging message for people to help out those that are less fortunate, such as the poor and homeless.” It’s clear that the big message to take away is that Traits want us all to look out for each other, in spite of the divide that politics has driven between many people in the world. There hasn’t been a lot of releases so far in 2018 that have made me want to shout from the rooftops, but this EP from Traits is one of them. My only complaint is that it’s only twelve minutes long. These five songs are a joy to listen to sonically; the balance of heaviness with pop-like hooks gives it that nice variety, and each dynamic is enough to make you pay attention, making the release stand out against peers of a similar sound.